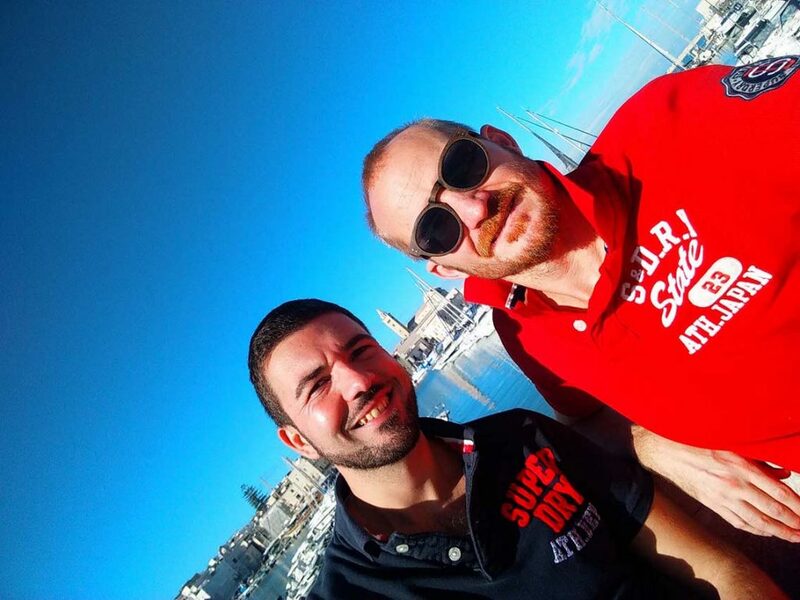 Imperial Puglia, a land of castles, cathedrals art and the remains of a bygone era. 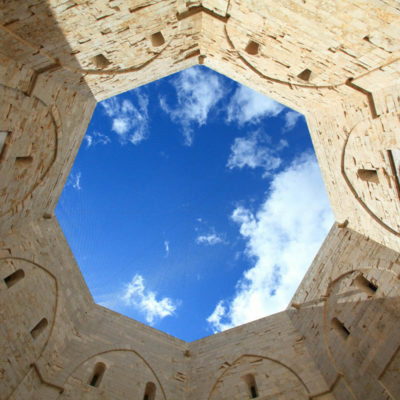 An imposing octagonal stone castle dominates the countryside around Andria. 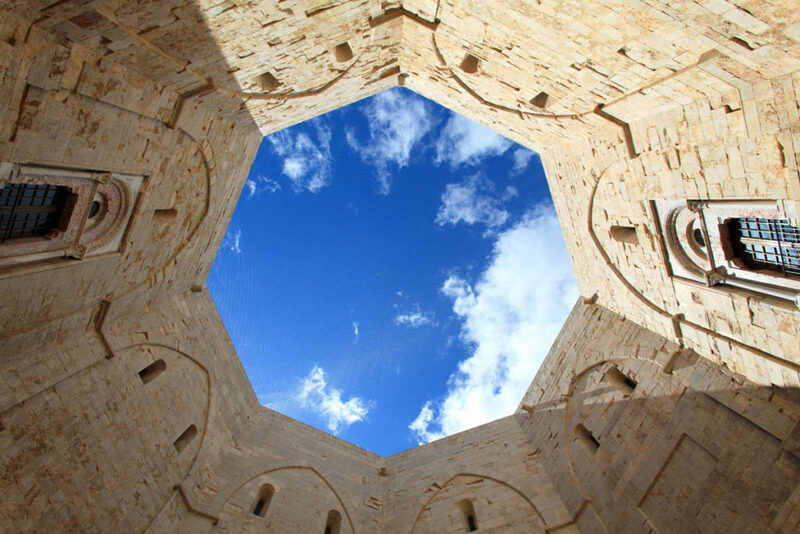 Built by Frederick II, the UNESCO World Heritage Site of Castel del Monte sets the tone for this beautiful and enchanting region. The streets still echo with the stories of epic clashes between knights. 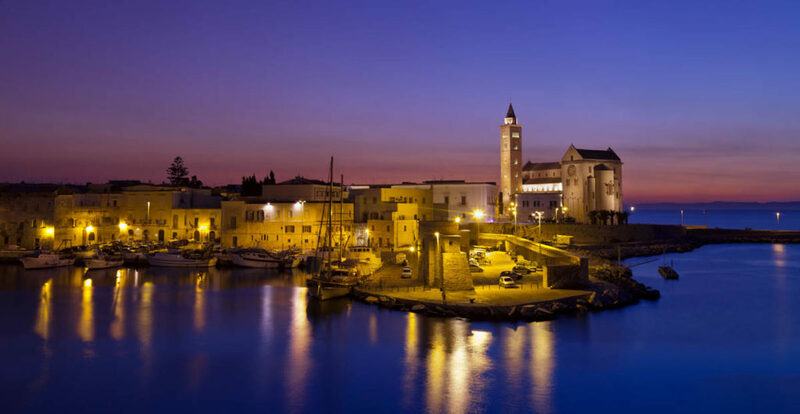 On the coast you find Trani, a stunning Port town with the Cathedral of San Nicola Pellegrino, a Romanesque cathedral which appears to emerge from the sea. 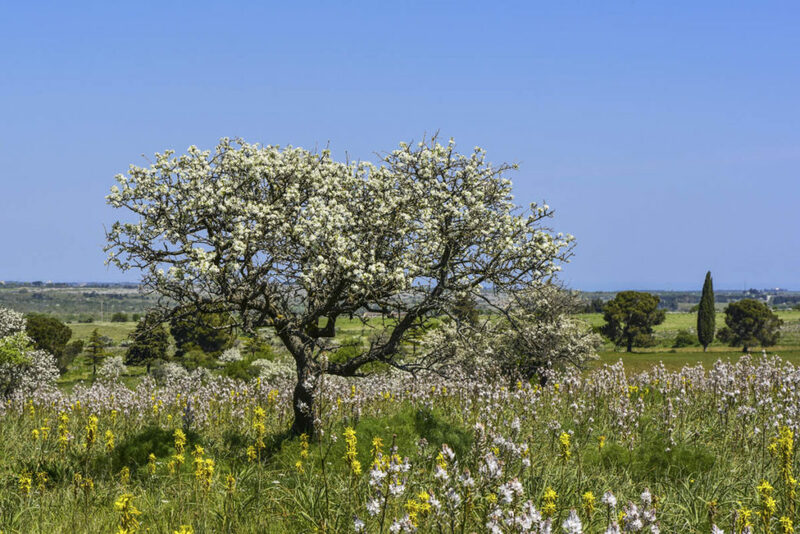 This region follows the beautiful nature theme that Puglia offers with Alta Murgia National Park. 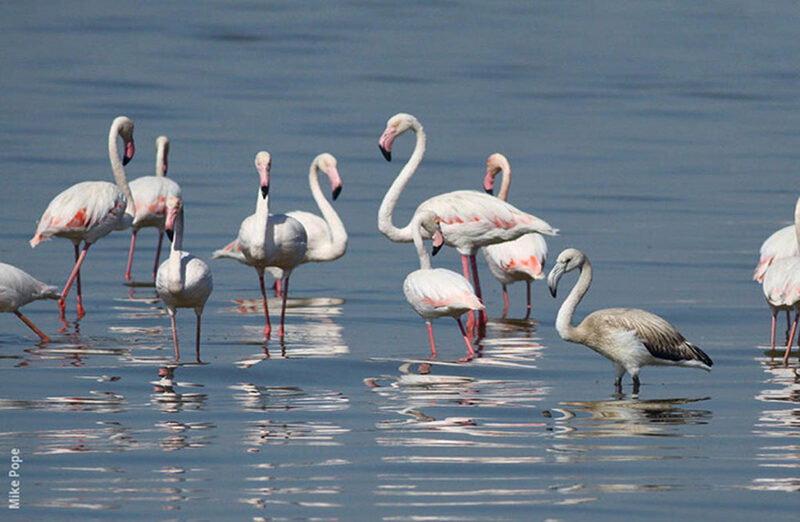 Saline di Margherita di Savoia, the biggest saltpan in Italy provides perfect bird watching. Here you can see the largest population of pink flamingoes in Europe. Don’t forget your camera. In the mood for cycling or hiking? 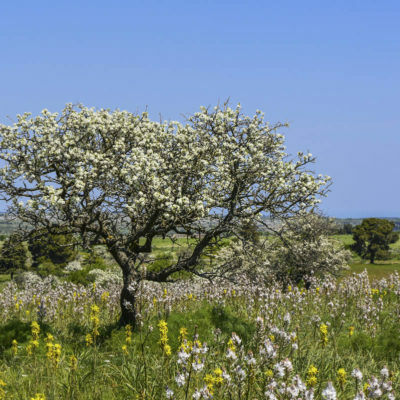 Visit the Ofanto Valley, named after Puglia’s longest river, and meander through the site of important archeological discoveries. 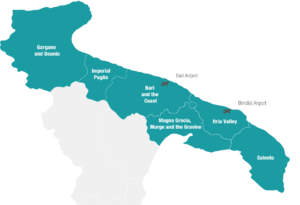 The cuisine in this area reflects the nature and seasonal wild vegetables and the Cardoncello mushroom are a must try. 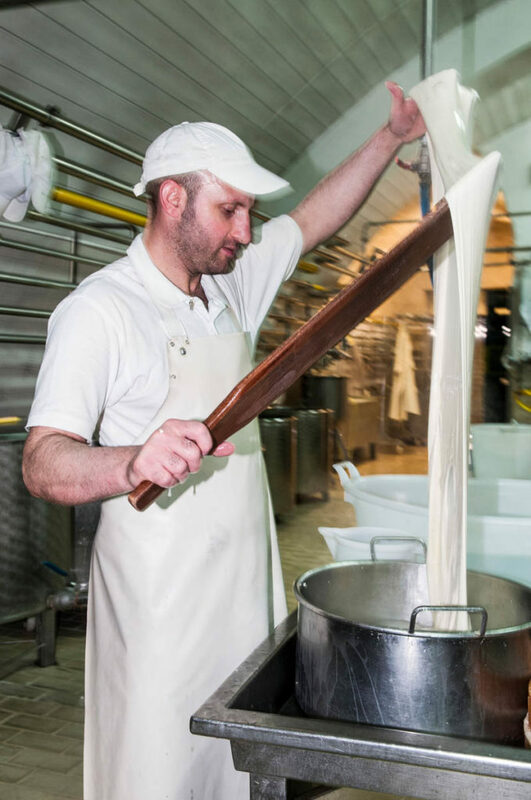 Here, traditional recipes have been reinvented by innovative local and international chefs. 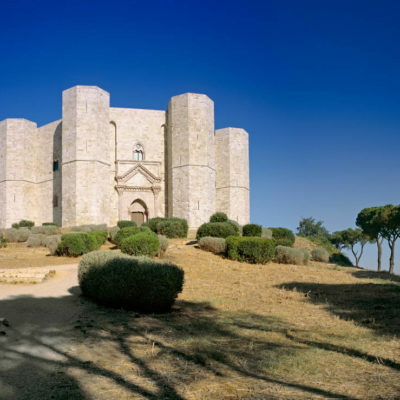 1 Castel del Monte (a UNESCO World Heritage Site) A magical octagon castle built by Frederick II, the site of Castel del Monte dominates the countryside around Andria. 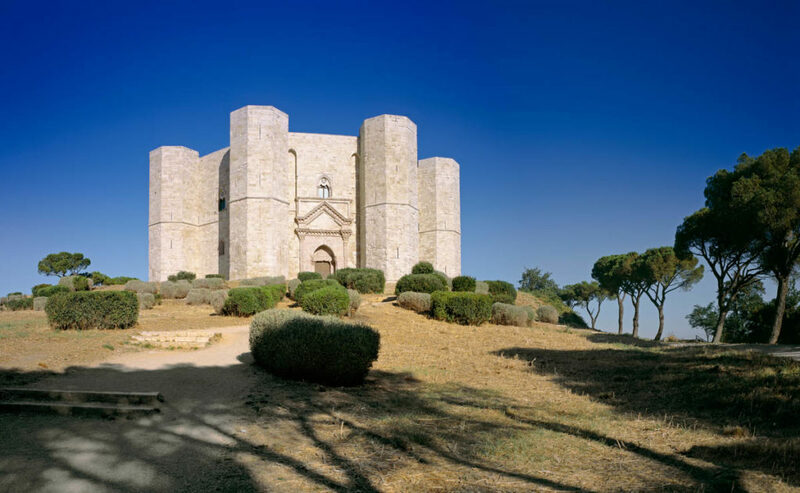 Breathtaking views of the region can be seen as you marvel at the sheer size of this 13th-century citadel and castle. 2 Trani Trani overlooks the sea like an elegant pale-stone Amphitheatre, it features a recently restored small port, the town’s crowning jewel which these days is often abuzz with artists and photography exhibitions.Another castle by Frederick II, Castello Svevo (Swabian Castle) and the Jewish quarter of Giudecca, a maze of small alleyways, synagogues and artisans’ shops also make this town rich with authenticity. 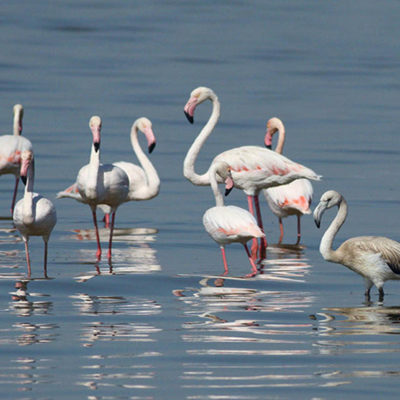 di Savoia A crystal-salt sea along the Adriatic coast, Margherita di Savoia salt pans are a haven for birdlife with nature trails winding through white salt mountains. Thanks to the long coast, with almost one hundred private beaches, Margherita di Savoia is among the most visited places in the region, characterized by long beaches with fine sand. Here you will find the flamingos that migrate from Africa. 4 Alta Murgia National Park Stretching from the Adriatic coast to the Lucania, the Alta Murgia National Park is home to Italy’s last example of Mediterranean steppe, a plateau which is largely made up of limestone, tufa rock and clay deposits, giving rise to the largest extension of spontaneous vegetation: shrubs of berries, thistles, asphodels, mosses, lichens, aromatic plants, and wild orchids.The landscape is dotted with drystone farm buildings and majestic masserie (living farmsteads complete with own church)! 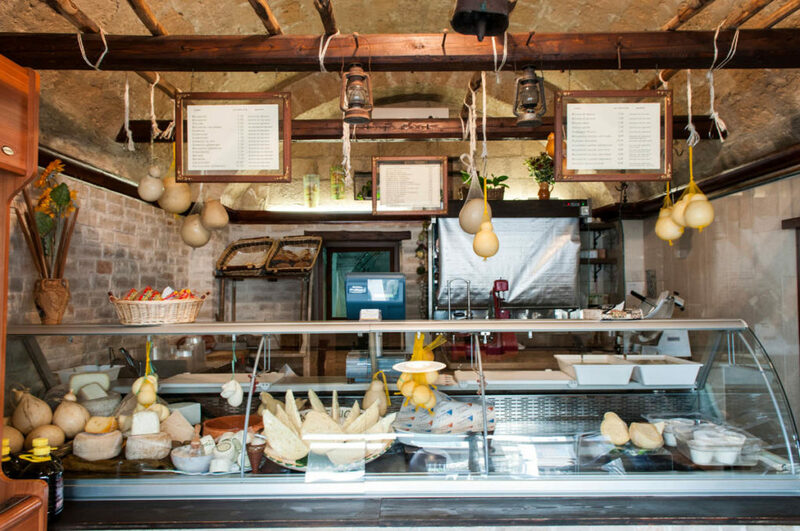 5 Gastronomic tour of Andria Explore the alleys and piazzas of the old town with their tapering streets and niches. 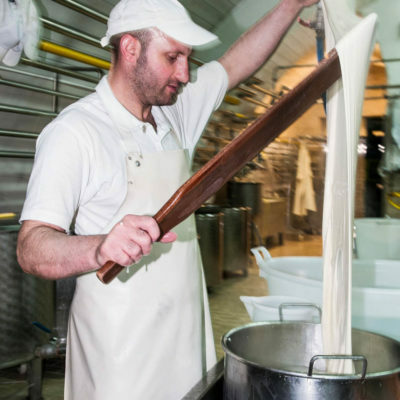 In the Casalino district, you’ll find Europe’s narrowest street. 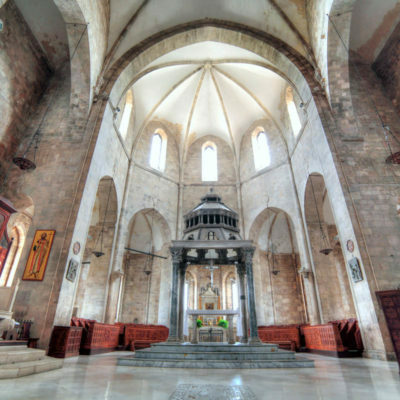 The oldest places of worship include the Church of Sant’Agostino, birthplace of the Knights Templar, and the Norman-era Cathedral of Santa Maria Assunta. 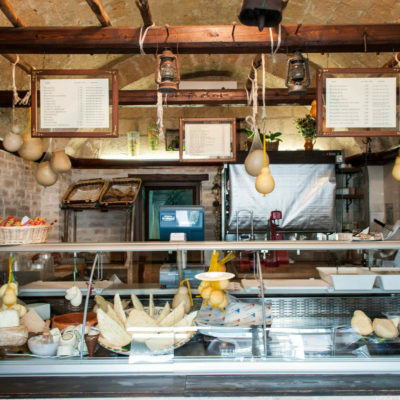 There is an abundance of gourmet specialties including Museo del Confetto, where you can try the excellent local burrata. 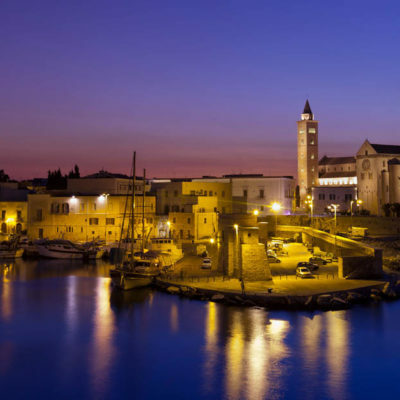 6 Art and Architecture in Barletta A renowned Art City, Barletta’s important heritage includes elegant architecture and precious museum collections. 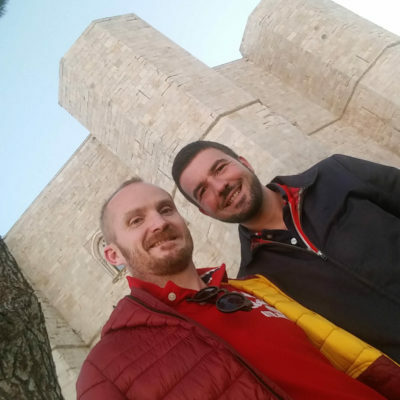 The heart of the historical old town is the Castle, one of Southern Italy’s most beautiful Renaissance fortresses, which now houses the Civic Museum. 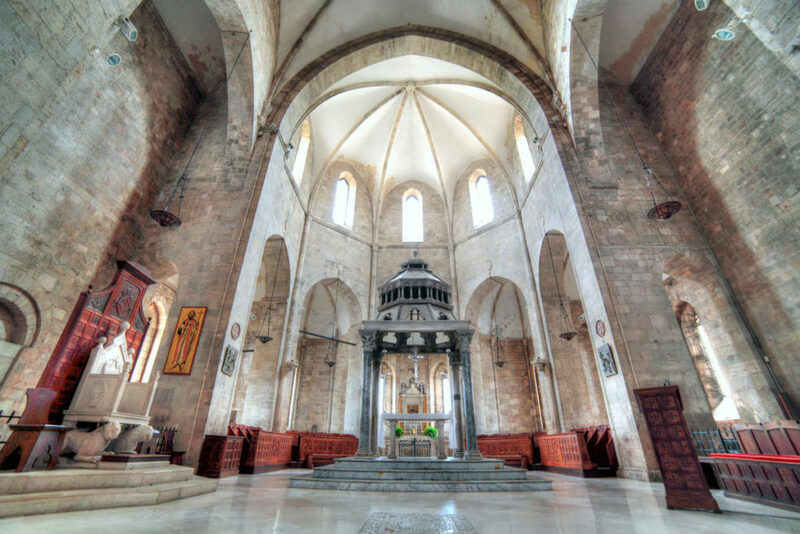 A few steps away from here, there is the Cathedral, one of the few examples of a Palatine basilica in Puglia. 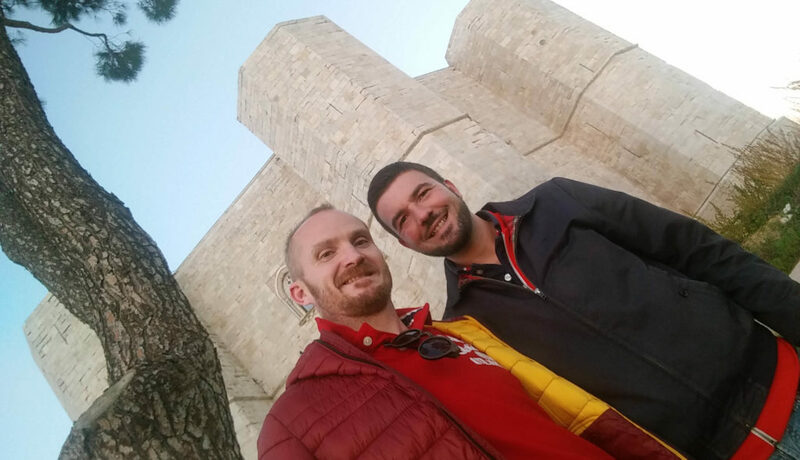 Visit Tavern of the Challenge, a national monument located inside a 14th century palace. Just outside the historic center, Palazzo della Marra is home to the work of Pinacoteca Giuseppe De Nittis, housing well over 200 paintings by Barletta’s Impressionist artist.